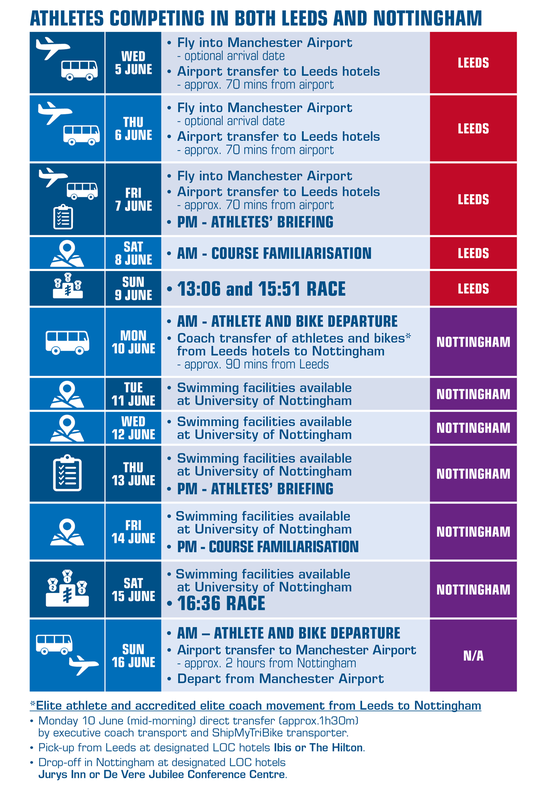 British Triathlon looks forward to welcoming you to both the AJ Bell World Triathlon Leeds and the Accenture World Triathlon Mixed Relay Nottingham in 2019. In partnership with Nirvana, British Triathlon have developed accommodation and transport packages to ensure a smooth journey for you and your athletes. Transport from Leeds to Nottingham is an integral part of the package. 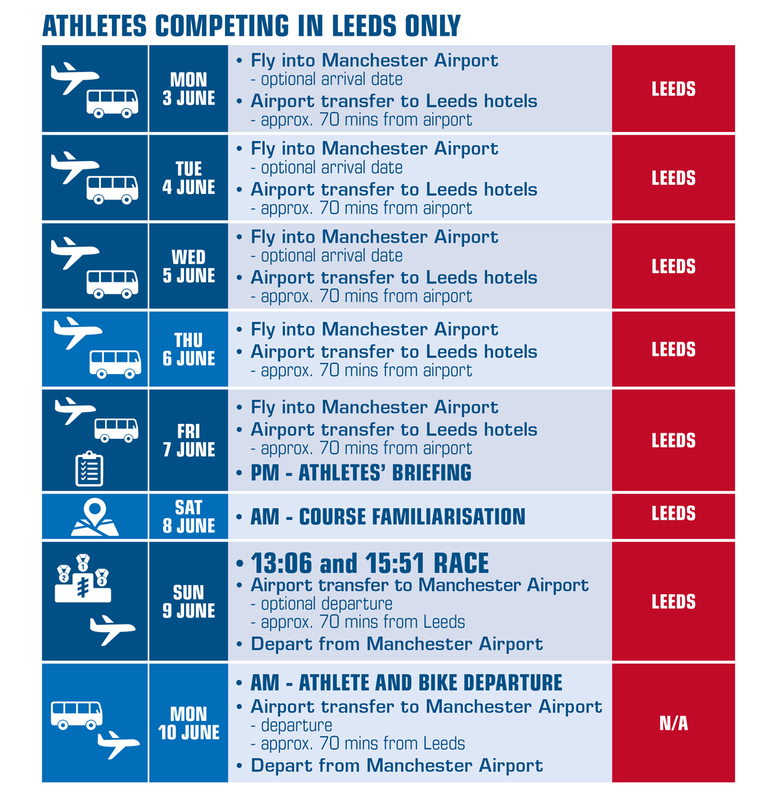 The information below details your travel options in relation to competing in both Leeds and Nottingham, or just Leeds.